Minister of State for Defence Subhash Bhamre said 84 army personnel committed suicide in 2014 while in 2015 and 2016, the number was 78 and 104 respectively. 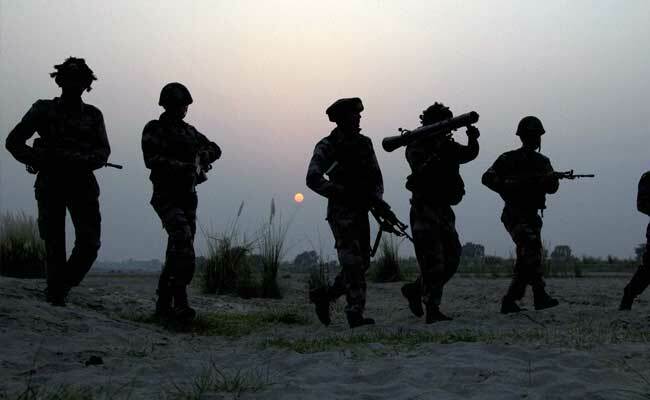 New Delhi: A total of 310 army personnel have committed suicide since 2014 while 11 cases of fratricide were reported during the period, the government told Rajya Sabha today. Nine officers and 19 junior commissioned officers were among those who committed suicide between 2014 and July 31, this year, Minister of State for Defence Subhash Bhamre stated this while replying to a query on incidents of suicide and fratricide in the Army. Replying to another question on the issue, the minister listed implementation of the Sahayak system along with other steps to address the problem of stress among the army personnel. A senior army officer had said in June that the Army was actively considering recruiting civilian staff in peace stations to reform the colonial-era Sahayak system, in the wake of rising cases of jawans coming out openly against it. Under the system, a solider is attached to an officer for various work including protecting the officer, maintaining his weapons and helping him carrying out his responsibilities. In the course of his written reply, Mr Bhamre also listed ensuring superior quality of clothing, food, travel facilities, recreation and establishment of grievance redressal mechanism as some other steps for management of stress among soldiers. Mr Bhamre said 84 army personnel committed suicide in 2014 while in 2015 and 2016, the number was 78 and 104 respectively. Till July 31, the number of army men committing suicide was 44. The minister said 11 cases of fratricide were reported in the army since 2014. He said the defence institute of psychological research had conducted various studies on suicides and fratricides and their findings highlighted the need for steps to address the problem of stress. He said stress management sessions are organised at all major army stations by commanders and psychiatrists at various levels. To a separate question, Mr Bhamre said India and Vietnam have agreed to take forward a proposal for training of Vietnam Air Force personnel on Su-30 aircraft.